This is the movie that broke the camel’s back, to mangle the metaphor [BTW, I won’t be giving it a thorough review here, plenty has been written already – for my opinion of the movie, read on]. I dislike DVDs, generally. Oh, they were great in 1990. They were okay in 2000. But this is the third millennium now for Christ’s sake people and we have Netflix, so why do we still need DVDs? Well, greedy studios claiming to bear the torch for the livelihood of movie-makers, but who are really just looking out for their profits are the ultimate culprit really, but reality is boring (so none other than Stanley Kubrick himself said – in greater or lesser words – I’m really too lazy to look up the exact quote right now…). The interesting thing is that, for someone with, shall we say, eclectic tastes, such as myself, Netflix and its ginormous database of old and forgotten films is a Godsend that almost obsoletes the DVD. The list of these movies-I-can-live-without-but-really-would-like-to-see [hereafter referred to as these movies(!)] steadily grew over time, but I didn’t get too upset (picture me calm and sedate, if you can!) and it didn’t topple over like a shoddy tower, raining debris on the populace and causing panic in the streets below. There were, and are, plenty of ripe pickings available for streaming to fill my available hours and then some, and all was right with the world. Until The Tree of Life came along and caused me to open my wallet one more time to the greedy, hungry corporate world that eats and eats and pukes up and eats some more. 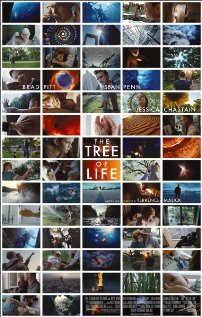 I couldn’t find any indication that The Tree of Life was coming to streaming any time soon, and the thought of going on watching films and occasionally writing about them, without having seen this film, became more and more unbearable. It was a completely untenable position. My hands were tied and my options limited. I had foresworn against the purchase of DVDs as part of my master plan to, well, see a lot of movies without having to pay a lot, frankly. The way I see it, studios are holding off on releasing to sites like Netflix the streaming rights to their movies because they figure they will lose money because people won’t buy a DVD of a movie they can stream from the comfort of their bed or couch, right? Well, I says to hell with them! – I ain’t buying their DVDs anyway and neither should you. So if no one is buying their stupid DVDs anyway, maybe they’ll reconsider the situation regarding the streaming rights… [Anybody care to join me on this one?] Let’ s be real – who wants a pile of DVDs, that maybe we even opened to watch once, cluttering up our homes when we can just stream the movies when we feel like watching them? It’s in our best interests – screw the studio big wigs and all those poor people they claim will be put out of work by the streaming revolution. Things change – keep up or move out of the way. At least I don’t pirate, right? So, what do I think of it? I loved it, although I did have to watch it twice just to put the pieces back together again. I plan on watching it at least once more before I send that bad boy back to the great red envelop in the big blue box. It seemed very Space Odyssey-ish at times with all the space imagery and glorious classical music, but the characters were warmer and more vibrant than any character from that Kubrick masterpiece. I couldn’t get enough of the way the scenes floated seamlessly back and forth through time, leaving me scratching my head more than a few times trying to piece the thing together. I no longer want to see movies where there is a clear, concise temporal flow from one event to another! Oh no, for now on I want my movies to scramble the sequence up completely and then explain almost nothing directly – just show, no tell. I’m addicted. It’s a high for me and I don’t know what I’m going to do in the meantime until filmmakers start making their movies interesting and hypnotic like this. Crash threw a lot together in an interesting and compelling way, but nothing I can think of just scrambled the eggs like The Tree of Life – a complete success, in my view. Imagine if I wrote a post where all the sentences were mangled together and out of order. It would just be a plain mess. [Shut up, ye of little reading comprehension.] But with film, and this film in particular, it works. We can process the emotional journey on all the different levels and from all the various perspectives as we are lead along, guided by our primal senses: sight, and sound, and also by way of empathy. I could easily recall my own youth watching this film and thought of my own brother throughout, grateful for his continued presence among us. Great music, stunning images and camera work, characters we love as family, superb acting, just plain win. Masterpiece. I enjoyed The Tree of Life. It’s not for the faint of heart, though, as I felt like I was choking back tears the whole time. I don’t think I’ve ever seen such an emotional movie. Nic’s opinion is that it was too earnest, that the emotions were too high and sustained at that high level for so long that it became overbearing. I can see it both ways. It’s definitely one to see on the big screen with a great sound system. Well this was automatically spammed, but I allowed it through because it is interesting. Me? I like cookies. Especially chocolate chip 🙂 Meanwhile, Walmart can lick me on their way down to hell.